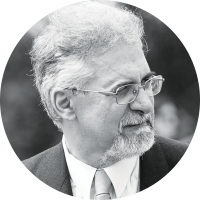 César das Neves is full professor at Católica-Lisbon and President of the Ethics Committee of that university. He holds a PhD and BA in Economics (UCP), a MA in Economics (Universidade Nova of Lisbon) and a MA in Operations Research and System Engineering (Universidade Técnica of Lisbon). In 1990, he was advisor to the Portuguese Minister of Finance and, from 1991 to 1995, economic advisor of the Portuguese Prime Minister. In 1990/1991 and 1995/1997, he was an economics expert at the Bank of Portugal. Author of several books, he is a regular media commentator.